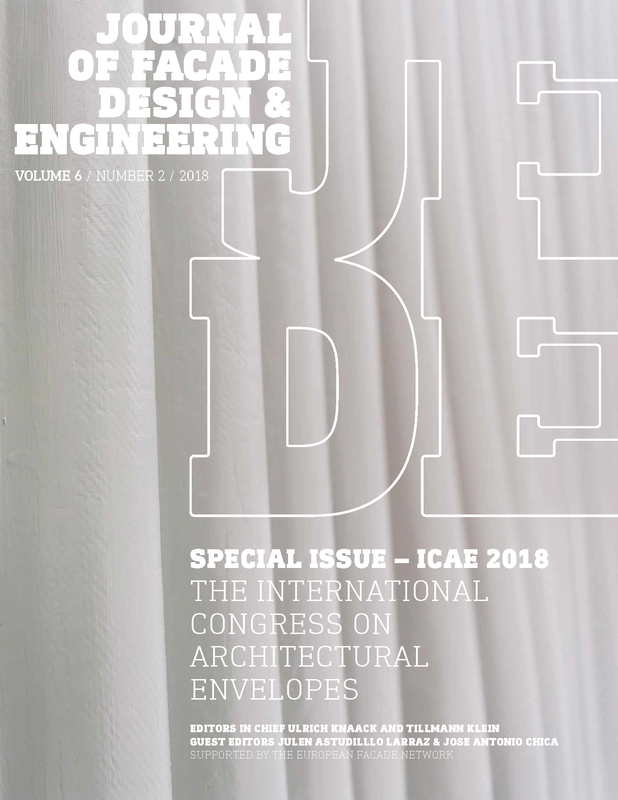 With this new edition we continue the collaboration with our funding member Tecnalia and the International Congress on Architectural Envelopes (www.icae2018.eu), which they organise every 3 years in San Sebastian (Basque Country, Spain). The eleven articles found in this new issue were carefully selected from 50 abstracts that will be presented during the scientific section of the congress. The final selected papers were subjected to the regular double-blind review process of the journal. We hope that with this selection we can provide you with new ideas and possibilities. An interesting set of approaches to new technologies is demonstrated (using robotics systems to install façades), new materials for the envelope (biocomposites, smart and multifunctional materials, and new types of membranes), use of BIM from design to manufacturing, 3D printed façades for thermal regulation, solar heating and cooling technologies in the envelope, characterisation of the thermal performance in roof solutions, and numerical and experimental performance assessment of structural thermal bridges. In conclusion, we want to thank our special editors, Julen Astudillo and Jose Antonio Chica from Tecnalia, for their effort in making this partnership happen. 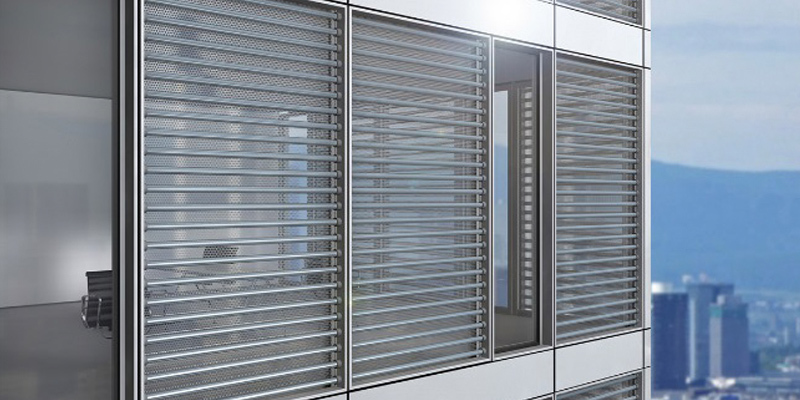 The installation of façade enclosures is a manual, dangerous, and time-consuming construction task. However, thanks to the capability of automated systems, the application of automation in construction is increasing, and therefore, manual work and risky situations can be avoided. Despite this, only a few robotic systems are capable of spanning such a vast work space, i.e. the façade of a building. Among these systems is the cable driven parallel robot (CDPR). 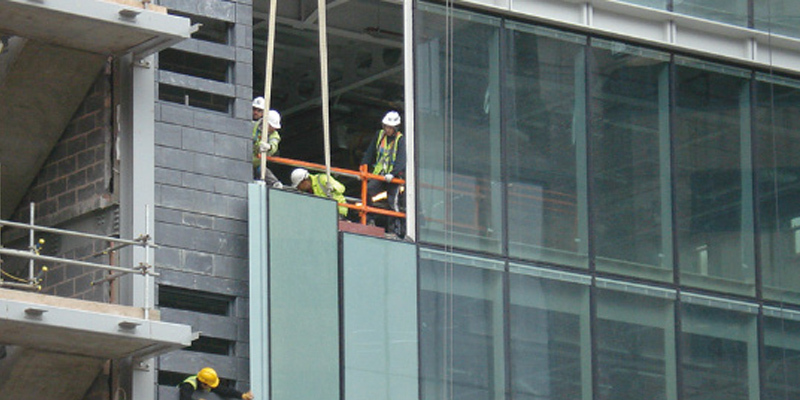 Furthermore, the CDPR could carry heavy loads such as unitised curtain wall modules (CWM). Nevertheless, the tools and devices required for installing the CWM need to be innovated. Firstly, in order to cover that research gap, the current manual procedure was analysed in detail. After that, the development team evaluated several options for performing the tasks. Finally, an optimal solution was chosen: the so-called modular end-effector (MEE). The MEE comprises several tools in order to achieve various tasks. Mainly, these tasks are: drilling the concrete slab, bracket installation, and CWM handling and positioning. In addition to the aforementioned tasks, the MEE should accurately fix all elements with a desired tolerance less than 1 mm. Meanwhile, the MEE should compensate for the perturbation movement due to external forces such as wind that affect the system. As part of the study, a detailed workflow for the automated installation of CWMs was elaborated. The drilling step of the workflow was tested and the result is presented in this paper. The integration of active solar thermal technologies into building envelopes has recently received a rising attention, promoted within international projects as IEA Task 56 or Cost Action 1403. 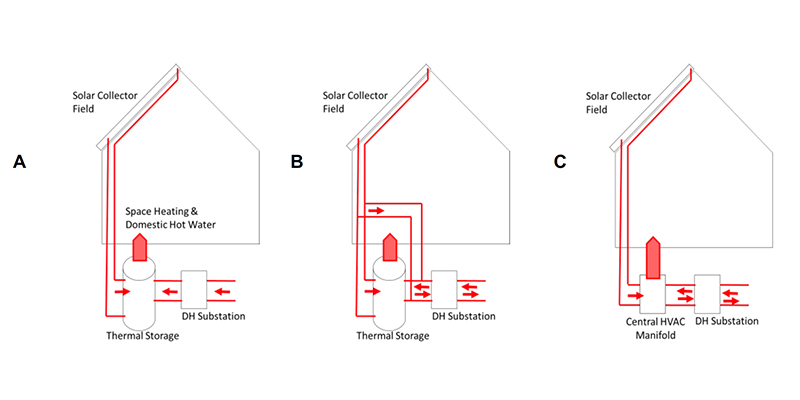 Although the façade integration of solar thermal collectors is a long debated topic, less attention is paid to the building integration of solar water storages. The scope of the paper is to highlight the main barriers experienced in the development of a façade-integrated solar water storage. This activity is a part of the SunRise project that aims to develop new unitized curtain wall element for tertiary office buildings. The façade element integrates a complete solar thermal system consisting of a solar collector, a hot water storage, a radiant panel and all the required operation components. 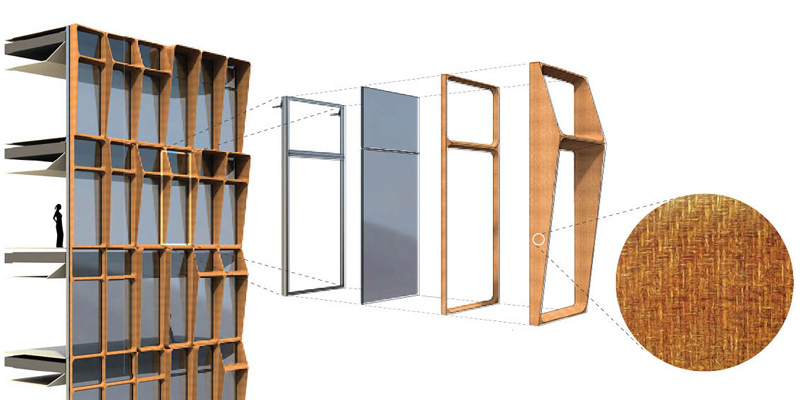 A mock-up of the solar facade is manufactured to identify practical constructive issues. The thermal behaviour of the tank is analysed through FEM simulations and laboratory tests. The development of novel systems for the on-site integration of renewable energy in buildings is increasingly demanded for the reduction of the energy consumption resulting from domestic hot water, heating and cooling usages. 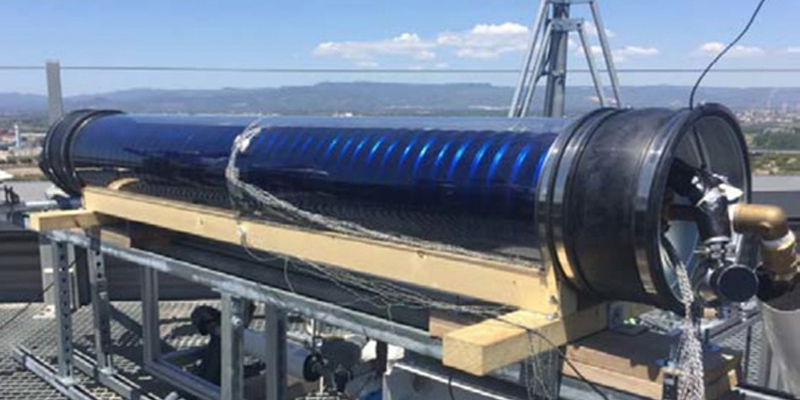 Within this context, the development of efficient solar collectors for domestic hot water demand production that benefit from their architectural integration in buildings is of high relevance. 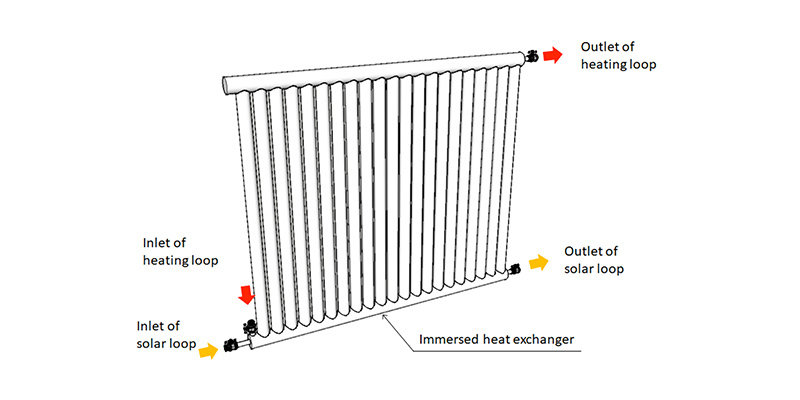 In the present study a novel solar collector device with a tube-in-tube concept that integrates domestic hot water storage and absorber in a single unit, is tested under the standard ISO 9459-5. The thermal performance of the collector is evaluated by means of the so-called DST (Dynamic System Testing) method that allows prediction of its annual energy efficiency under different climate condition scenarios. The study concluded that three collector modules in series can provide a high annual DHW energy coverage between 62-70 % for Southern European climates and in the range of 30-40% for Central and Northern European climates. Along with its compactness and efficient design that allow easier architectural integration on roof ridges, an additional advantage of the system is that its cylindrical geometry makes it possible to rely on a significant surface for full diurnal radiation absorption, independently of solar orientation. With the objective for this new development to be technically and economically competitive compared to available solar domestic how water systems (SDHW), it is currently under the pre-production phase and ready to enter the market in 2018. 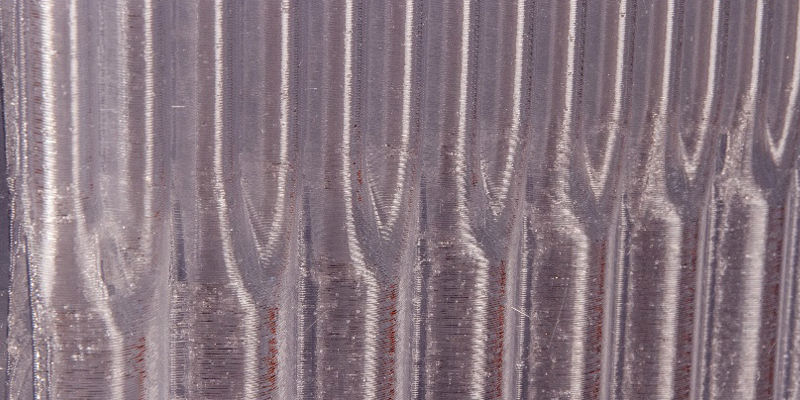 Currently, several research projects investigate Additive Manufacturing (AM) technology as a possible construction method for future buildings. AM methods have some advantages over other production processes, such as great freedom of form, shape complexity, scale, and material use. These characteristics are relevant for façade applications, which demand the integration of several functions. Given the established capacity of AM to generate complex geometries, most existing research focuses on mechanical material properties and mainly in relation to the load-bearing capacity and the construction system. The integration of additional aspects is often achieved with post processing and the use of multiple materials. Research is needed to investigate properties for insulation, thermal storage, and energy harvesting, combined in one component and one production technology. To this end, the research project “SPONG3D” aimed at developing a 3D-printed façade panel that integrates insulating properties with heat storage in a complex, mono-material geometry. This paper gives an overview of the panel development process, including aspects of material selection, printing process, structural properties, energy performance, and thermal heat storage. The development process was guided by experiments and simulations and resulted in the design and manufacturing of a full-scale façade element prototype using FDM printing with PETG. The project proved the possibility of the integration of functions in 3D-printed façades, but also highlighted the limitations and the need for further developments. 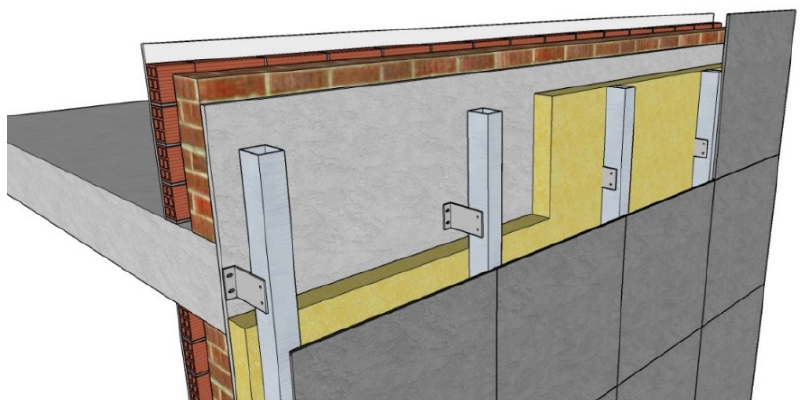 Vapour barriers and retarders are often needed to improve the hygro-thermal performance of the building envelope. Their use is particularly important in prefabricated timber façades, especially when critical boundary conditions occur. In the literature, very little is known about the actual performance of complete envelope packages that integrate these membranes, since most previous studies focused on the analysis of single components. However, considering the growing interest and use of such timber facade elements, an analysis of the performance of integrated membranes is needed in order to improve the material function curves available in the datasheets to enable the correct design of the whole wall structure. Thus, the novelty of this work lies in the validated analysis of a building envelope sample that integrates membranes with a variable vapour diffusivity. The focus of the paper is more related to the experimental set-up and particular attention has been paid to the development of a relatively simple testing procedure to analyse the behaviour of such integrated membranes. 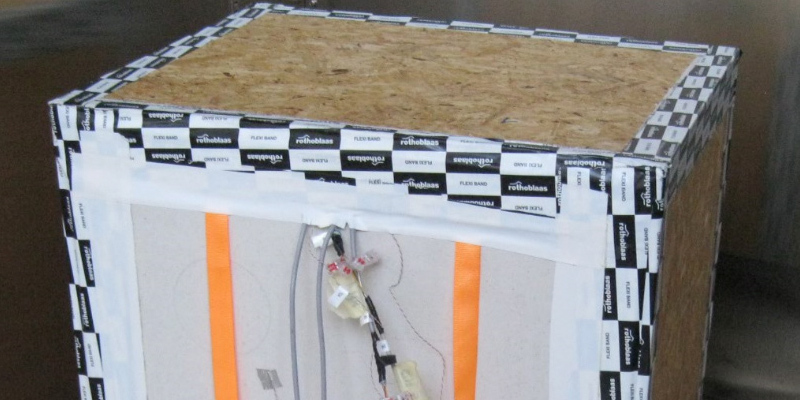 The study seeks to investigate the behaviour of an envelope component integrating a hygro-variable membrane and a breathable membrane by using computer simulation and experimental facilities. A thermo-hygrometric analysis of the element has been performed in Delphin, and an experimental methodology is presented, aiming to validate the numerical model, measuring the temperature and relative humidity in different layers. Two sets of boundary conditions have been accurately chosen as they are critical for the building component in terms of thermal and humidity transmission. Results show very good agreement for one test condition. For the second condition, the measurement uncertainty was greater. One possible reason for this was the presence of condensate in the measurement box frame caused by the first test run. The experimental set-up developed is a relatively easy-to-replicate layout for the validation of similar complex packages. Compared to previous studies, the experimental set-up used in this research is simpler and less expensive. When an architect ideates a complex building envelope, they often rely on a façade consultancy to develop the final detailed solution of their design. The purpose of this paper is to describe a customised BIM methodology to develop complex building envelopes, evaluating the process followed to convert an architectural concept design to a fabrication reality. Over recent years, building information modelling has developed greatly in terms of architectural, structural and MEP disciplines. It conveniently advances and analyse the variables of a concept design, and furthermore, coordinates disciplines during the detailed design phases. However, when a technical approach to the envelope’s design must be implemented, we need detailed engineering tools to simulate the environmental data, and to analyse and develop the system’s fabrication features and assemblies, which are tedious to incorporate on BIM basis. This paper describes the process followed to develop and execute a building envelope project, starting with a concept design and incorporating virtual simulation processes for the solution to meet its structural and thermal requirements. The final aim is to have detailed drawings and documents of the envelope’s elements, with coordinated information for construction and fabrication purposes. Osirys is a European Research Project where a holistic solution for façades and interior partitions ready to be applied in building retrofitting and new construction has been developed. The project uses biocomposites as the base material to define different products: a multilayer façade, a curtain wall, a window, and an interior partition. The biocomposites developed have different functionalities able to meet the strictest requisites of the European Building Codes in relation to fire and structural performance, improve indoor air quality through the elimination of VOCs (volatile organic compounds) and microorganisms, increase thermal insulation, and increase the durability of construction elements. The new systems are lighter than traditional ones, leading to reductions in overall weight, thereby reducing implementation costs during both manufacturing and assembly processes, thanks to an industrialised concept that utilises modular elements. The project was developed with the collaboration of 18 European partners (5 research centres, 9 SMEs, 2 large industries, and 2 public bodies). The main activities were devoted to the establishment of requirements, the development of materials, the design of products, the integration of materials into products, the verification of properties by simulation and testing according to EU standards, the integration of products into real buildings, and economic and environmental assessment. The scope of this paper is to provide a general overview of the entire project work and results to demonstrate the feasibility of using biocomposites in envelope solutions with the aim of solving some of the main problems that exist in façade traditional solutions. The project finishes with the implementation of the developments in real buildings as prototypes; further research is required before industrial scale manufacturing of the systems can be launched into the market. There is a clear trend towards the increased contribution of renewable energy at European level, and EU policies are oriented towards that direction. The building sector is no exception and presents an urgent necessity for increasing the share of renewable energy sources (RES) to reduce the impact on the environment. The aim of this paper is to examine the potential of solar heating and cooling technologies in reducing energy consumption by incorporating solar thermal and PV collectors within the building’s envelope. Although generally envisaged to be integrated in the roof, preferably oriented to the south, this study explores also their potential for integration into the façades. External climate influences both the demand for space heating and cooling (influenced by temperature) and the potential from solar renewable energy (incident global irradiation). However, a time lag exists since supply and demand peak at different times within the day as well as during the year. This study assesses the interplay of solar energy supply with heating and cooling energy demand. An analysis is performed over climate data files for five European locations, based on daily weather data. Besides the extent of incident solar irradiation, its seasonal usability is assessed with regard to the thermal demand. The impact of the inclination of solar collector devices is assessed by comparing their placement on a horizontal plane, on the inclination of maximum exposure for each climate, and on vertical planes for the four cardinal directions. As a conclusion, the utilization of solar energy for different scenarios is assessed and a discussion on the integration of solar thermal and PV collectors over façades is presented, building on the potential of these technologies for developing innovative solutions that could significantly upgrade the buildings’ energy performance in the near future. A methodological approach to the multi-dimensional heat transfer assessment of building envelopes is performed. The proposed method focuses on thermally weak points in envelope-structure junctions and the assessment of envelope retrofit alternatives. Thermal performance in these spots is seldom assessed in energy audit processes, although it is one of the main heat loss paths in many insulated façade solutions. 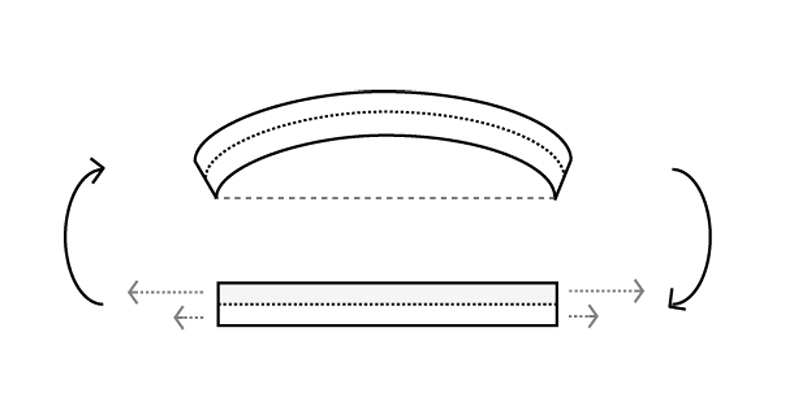 An envelope-slab junction case is presented, where multi-dimensional heat transfer occurs. This paper proposes a methodology that allows for a hybrid experimental and numerical performance assessment in such circumstances. A numerical model is calibrated against experimental data, which is then modified to reflect various envelope retrofit solutions. Several possible analysis procedures are proposed, based on the capacities of transient thermal models. Climate Adaptive Facades are considered promising breakthroughs for the reduction of energy consumption, as energy exchange is enabled when the weather conditions offer benefits instead of threats. So far, conventional building envelops enhance thermal performance through opaque façade components and static insulations. Therefore, natural resources from the building environment remain untapped. Little research has been done in Adaptive Opaque Facades, even if their dynamic behaviour shows a strong potential to exploit environmental resources. For the successful development of these innovative façade systems, a balance between sophistication and benefit is necessary. To manage this objective, the implementation of Smart and Multifunctional Materials in the envelopes seems promising, as they are able to repeatedly and reversibly change some of its functions, features or behaviour over time in response to environmental condition. Consequently, to trigger the response of the envelope, no external actuator or complex software management would be necessary. Nevertheless, these materials do not fulfil all the façade requirements by themselves. Thus, they need to be combined with other adaptive technologies and building elements. This paper shows an initial definition of different façade configurations that include reactive materials which enable the adaptiveness of Opaque Façade Systems. The desired results are new facade roles suitable for a temperate climate, according to the potential of these multi-performance materials in the external layer of the envelope: the dynamic temperature change of the external cladding through the solar reflectance change and the enhancement or prevention of thermal loses through Shape Changing Ventilated Facades. To achieve these new high performances, an ideal approach to the thermal behaviour of each façade layer was done and required physical properties of each elements were highlighted. As a result, we propose a mapping of potentially suitable combination of reactive materials with other building elements that might enable the holistic adaptive thermal performance. 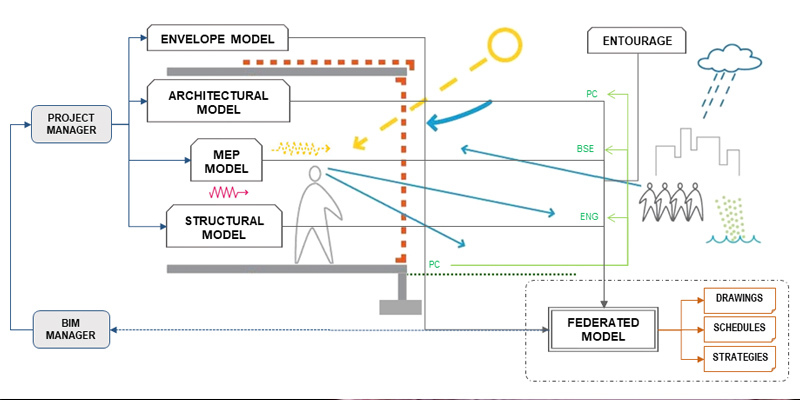 In this paper, the energy performance of a solar thermal (ST) façade system is studied in relation to its connection to a district heating system. This concept allows for the direct use of ST heat in the building, while taking profit from the network for delivery/selling of excess heat and purchase of heat during periods of underproduction. The use of unglazed collectors for low-intrusive architectural interaction in façades is discussed.